Nothing gets a good idea off to a better start than some pints. And there lives the story of Beaver Island Brewing Company’s beginnings in the St. Cloud hometown of co-founders Nick Barth and Matt Studer. Here are a pair of business partners and beer fans who believe the best brews are the ones that drinkers can relate to. Solid and well-crafted beers. Those that you don’t have to guess about, but that you’ll want to know more about. And then share with a friend. 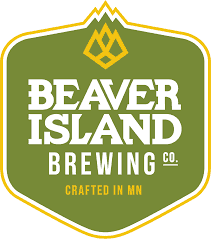 Add to the brewery circle a pro named Chris Laumb, who had clocked some solid time at other Central Minnesota brewhouses and brought his expertise to Beaver Island Brewing Company. Convinced to do so, of course, over some pints. Chris creates beers that people drink – and tell stories about. The venue is in the heart of downtown St. Cloud, where both a commitment to great beers and building community springs forth. The same passion that the lads and their crew put into making and serving fine beer, they match with a commitment to the community that has supported them every step of the way. A many faceted story of St. Cloud, the people of a remarkable city – and the beer that unites them.